The Zambian Online Classified ! We are proud to announce a new age thriving online classified to suit the needs of the Republic of Zambia. Advertise to Buy, Sell, Rent, Lease, Inform about your goods, services, offering in a jiffy. An easy and reliable platform where buyer meets seller and means meets ends. Click on the icon above directly experience E-tamanga. Showcase your offering or need absolutely free of cost and get noticed instantely. Get around the clock support from our consultants and IT experts. 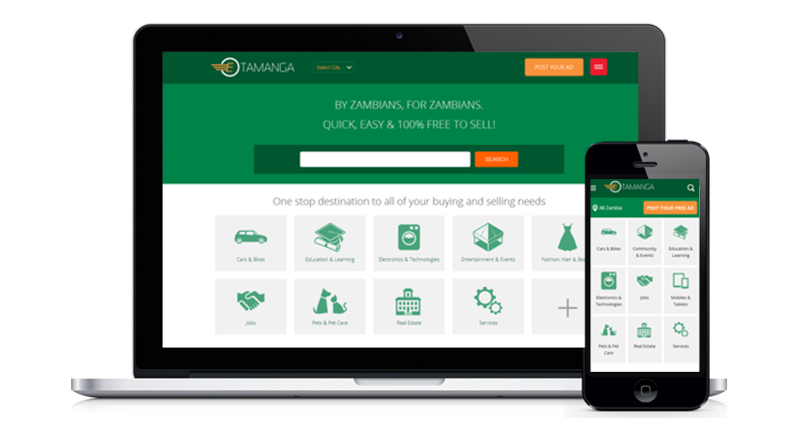 Etamanga guarantees a strong web presence of your product or service and thus brings a huge deluge of responses to your Adpost. It is convenient, clutter-free, user friendly and the best part it is absolutely FREE !